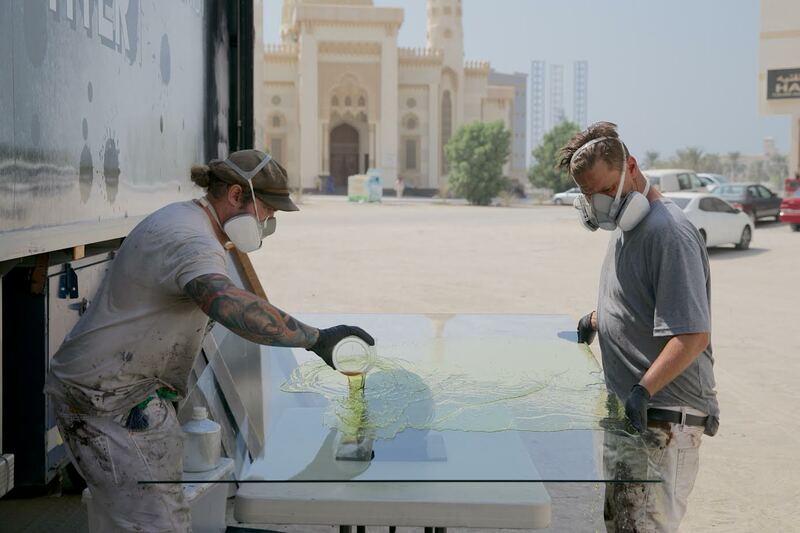 SHARJAH/Sharjah Media Centre: XPOSURE 2016, Sharjah’s first International Photography Festival initiated by Sharjah Media Centre, will witness a unique approach in the modern world of photography as Ian Ruhter, popularly known as The Alchemist, attempts to create the world’s largest Ambrotypes – an early form of photography made by placing a glass negative against a dark background. Festival visitors and photography enthusiasts have a chance to witness the process of creating these Ambrotypes first-hand, at a live demonstrations by the acclaimed photographer during the festival from 12 – 15 October. Ian believes the UAE to be one of the most unique nations; a country rooted to its traditions and beliefs while aspiring to become one of the most progressive countries in the world. His first outing in the Middle East, Ian’s works of art will portray the people and places of the UAE that hold special significance. Ian works with world’s largest wet plate collodion camera, to to possibly create the world’s largest Ambrotypes on display to the public during the festival. The photographer and his team drove around Sharjah for days before finally choosing the iconic Umm Al Qura Mosque and Al Qulaiah Area of Sharjah as his first subjects. Later, he will be shooting at Expo Centre Sharjah, the venue of the International Photography Festival, during XPOSURE. “We wanted to make a picture of something that symbolises the culture and heritage of Sharjah and the UAE and is also visually amazing because of its architectural beauty,” he added. Ian Ruhter is a photographer with a camera, but calls himself an alchemist with a time machine. Ian became infatuated with the process of taking one-off, large-format images and turned his back on the digital world to shoot wet plate collodion photos, one of the oldest forms of photography. When he couldn’t find a camera big enough to shoot on the scale he wanted, he converted the back of a truck into a camera and mobile dark room. Now, he’s driving the truck-camera across America to shoot a series he calls ‘Silver and Light’. XPOSURE International Photography Festival is the official photography educational and imaging platform launched by Sharjah Media Centre combining a broad range of photography events, including exhibitions, workshops, seminars, presentations, competitions, photo walks and a photographic product Trade Show. Supported by professionals and industry experts, XPOSURE offers many exciting prospects to learn new skills and network with leading professionals and enthusiasts, along with the opportunity to see, handle and try the latest photographic products. Slated to be a one-of-its-kind, premier photography show in the Middle East, XPOSURE will be held from Wednesday, October 12 to Saturday, October 15, 2016 at Expo Centre Sharjah.